Underground mass mining methods such as panel and block caving, have generated increasing interest in recent years, thanks to the high potential production rates and low operating costs involved. Although they have been used in past 70 or so years, improved solutions for designing, planning and simulating of caving operations mean that these techniques can now be applied at greater depths, and within environments with greater geotechnical challenges than ever before. In addition, a number of large open pit mines across the globe are coming to the end of their life, and many mining companies are examining the feasibility of shifting to low-cost, large-scale underground operations in order to continue exploiting these ore bodies. Several mining companies are also considering expanding their existing operations in order to access areas of the ore bodies previously thought to be uneconomic to profitably exploit. Caving is the only underground bulk mining method that is able to offer continued production at a comparably high rate and with low operating costs. But this comes with a price, high capital investment up front and high demand on knowledge. SRK Consulting has been involved in cave mining design, evaluation and operational assistance in past two decades and it is world leading consultancy in this field. Out of current 37 or so cave mining projects, SRK has been involved in one way or another in nearly all of them. Spearheading the effort is the cave mining group out of SRK Vancouver office under leadership of Jarek Jakubec. Jarek together with his colleagues will present the cross-section of the current cave mining industry and will discuss the current state of the art, past successes and future challenges. John Bacharach is a Director of IMC Montan and a professional mining engineer with more than 30 years experience in the mining sector both as a senior executive with direct responsibility for mine operations and as an international consultant. He has worked in a wide range of minerals including ferrous, non-ferrous, polymetallic, precious metals and coal and for the past 15 years has worked principally in the CIS where he is IMC Montan’s resident Director in Moscow. Hakan is a Chartered Geologist with more than 25 years experience in coal exploration, coal mining geology, and coal quality. He commenced his career with Turkish Iron & Steel Works, and later in 1991, he moved to Australia and joined Australian Coal Industry Research Laboratory as coal geologist dealing with all aspects of coal mining geology, coal quality and coal petrography. In 1998 he joined Exploration & Mining Division of CSIRO, Brisbane where he worked as a senior project geologist. He was responsible for supplying geological expertise to various coal mine projects where he created a number of computer aided geological and sedimentary models for direct application to exploration, production optimisation, coal seam gas utilisation, goaf gas safety issues and geotechnical assessment using borehole geological/geophysical logs and other available geological data by using various mining and petroleum software. Since 2002, he has worked in the UK as a consultant geologist for various clients. He provided geological expertise and evaluated coal mines and deposits in Russia, CIS, Africa, Europe, North America and Latin America. Mikhail is the Chief Technical Officer (CTO) of the RJC Company, currently responsible for the development, implementation and technical support of the AGR system (the exploration management software). He graduated from the Geology department of the St. Petersburg State University with Master’s degree, specializing in structural geology. Since 2005 he had been working as a geologist in A. Karpinsky Russian Geological Research Institute (VSEGEI), and had successfully participated in a number of international projects on continental-scale geological, tectonic and metallogenic maps. In 2011 he transferred to the RJC Group, and since 2012 he is in charge of the Exploration Management Systems department in the company. His main experience is in the field of modern IT technologies for geology. Dmitry Malakhov – director of RJC Kazakhstan representative office. Master of petrology (St. Petersburg State University). Experience: V.G. Khlopin Radium Institute, Institute of Precambrian Geology and Geochronology RAS, A.P.Karpinsky Russian Geological Research Institute (Uranium deposits and Radioecology department), Foundation for development of national geology (FDNG). Works in RJC since 2011. In 2012 he had organized and became managing director of the first foreign subsidiary office of RJC Group in Karaganda. Nikolay Shatkov has an extensive experience in research and analysis of mineral-petrographic and geochemical characteristics of ore deposits of solid minerals and also a broad experience in geological support of exploration works. In 1987 Nikolay Shatkov graduated from Leningrad State University. Since 1987 he worked at Karpinsky Russian Geological Institute. In 1997 he defended his postgraduate thesis. 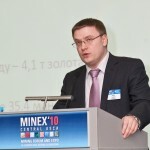 From 2007 – Top specialist on expertise and support projects of “Micromine Russia” Company. From 2008 – Principal Geologist of “RJC Exploration” Company. Natalya Utkina has professional knowledge and skills in estimate of resources of deposits, geostatistics, engineering exploration works. She has many years of continuous experience in the mining and geology. She was more than 5 years working as a chief geologist for the mining company, she later worked in the resource estimate department in “RUSAL VAMI”. During that time she participated in several international projects for resource estimation. Natalia is working in “RJC” since 2008. She has been modeling of deposits for exploration and mining operations, she participated in the development of TEO for GKZ, planning, resource projects, audit companies. She is a member of the Society of experts of Russia (OERN). Main activities: QA/QC of geological exploration, resourses and reserves estimation (block modelling, traditional method). Ruslan Sevostianov, a Technical Manager of the Kazakhstan office of Wardell Armstrong International. Ruslan has over nine years of diverse experience in mining industry. Having worked for more than 7 years at Kumtor, one of biggest gold mines in the world located in Kyrgyzstan, and for more than two years at Altyntau-Kokshetau mine in Northern Kazakhstan, Ruslan implemented a number of projects in the field of mining management systems, innovative automated mining fleet management systems, high-precision excavating and drilling navigation systems, drilling and blasting, mine geotechnical services and open pit wall stability monitoring. Mr. Peter Persson is the Mine Automation Product Line Support Manager for EMEA (Europe Middle East and Africa), Sandvik Mining, based in Turku, Finland. Peter has 10 years of experience in the mine automation business. a Sandvik International Mining and Construction School post graduate course at the Montanuniversit’ta Leoben. Graduated from the Siberian Academy of Mining in 1997. Till 2006 worked as a mechanical engineer at a blast-hole drilling site. In 2006 joined Sandvik as a service engineer. Since 2013 is responsible for Surface Drills product support. Have 4 children: 3 daughters and a son. Children are keen on cross-country skiing. Free time spend with tourism and sports competitions. MARTIN TELFORD, SRK Consulting (Canada) Inc.
Martin Telford is a mining engineer with 12 years of experience in mine design and mine management of underground mines in Canada, Venezuela, and Australia. He has worked in a variety of underground mines in desert, tropical, and sub-arctic environments, utilizing sublevel caving, longhole stoping, cut and fill, and room and pillar mining methods. Martin’s technical strengths are in mine design and scheduling, equipment selection, costing, operational assistance and mine management. Martin joined SRK Vancouver office in 2011. He is currently involved in several cave mining projects for clients including BHP, Philex, and more. Rock mass characterization; structural geology; hydrothermal alteration; saprolites; open pit and underground mining geotechnics; ore geology and exploration/mining software (including Gemcom™, BCF (block cave fragmentation), Leapfrog™). Ryan has over 10 years’ experience in rock mechanics and structural geology specializing in both underground and open pit mining. He has managed several large scale open pit and underground geotechnical programs throughout Canada and abroad ranging from scoping through feasibility level as well as active operations. Ryan continues to work alongside internal and external industry leaders to develop mining strategies for world class deposits. Large open pit and underground block cave projects are areas of current technical focus. Outside of hard rock mining, Ryan has experience in field-based investigations ranging from oil and gas exploration and target delineation (geophysics) to hydrocarbon containment and remediation (soil and groundwater investigations). Recently, he was an active member on the organizing committee for the 2011 Slope Stability Conference held in Vancouver, BC. Sergey was born in 1959 in Moscow region, Russian Federation. Graduated from the Moscow High Technical specialized school (currently it is University named af. Bauman) as an engineer-mechanic. In 1996 joined Svedala Company (Sweden). Since 2004 has been working with Sandvik. Current position is Sales manager, crushing and screening equipment. On June 14, 2010 the Constitutional Law of the Republic of Kazakhstan No.289-IV “On Introduction of Amendments and Supplements to Certain Constitutional Laws of the Republic of Kazakhstan on the Issues of Improvement of the Legislation in the Field of Ensuring the Activity of the First President of the Republic of Kazakhstan – the Leader of the Nation” came into force. The Chairman of the “Nur Otan” People’s Democratic Party. Nazarbayeva Dariga Nursultanovna (born in 1963) is the eldest daughter. She has two sons and one daughter. She is a Doctor in Political Science. Dariga is the Majilis deputy of the Parliament of 5th convocation and Chairwoman of the Socio-Cultural Development Committee. Kulibayeva Dinara Nursultanovna (born in 1967) is the middle daughter. She has a son and two daughters. Since 2004, she chairs the Board of Directors of the Kazakh-British Technical University. Nazarbayeva Aliya Nursultanovna (born in 1980) is the youngest daughter. She has two daughters. Aliya chairs the “Elitstroy” Construction Company. He was born on January 28, 1969 in Almaty. In 1993 has graduated from Moscow State University named after M.V. Lomonosov, specialty – mathematician. In 1996 he graduated from Market Institute of Kazakh Management Academy, National School of Public Administration under the President of the Republic of Kazakhstan. He began working in 1993 as a graduate student, assistant to the Kazakh State University named after Al-Farabi. In 1998 was appointed Head of Social and Economic Department of the Administration of the President of the Republic of Kazakhstan. 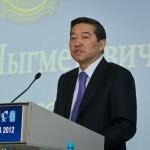 In 2001 – 2002 – First Vice-Minister of Finance of the Republic of Kazakhstan. From 2006 to 2008 served as CEO of Kazyna Sustainable Development Fund. From January to October 2008 served as Head of Administration of the President of the Republic of Kazakhstan. 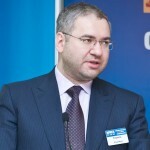 Since October 2008 he is CEO of the Sovereign Wealth Fund “Samruk-Kazyna” JSC. Member of Political Bureau of the National Democratic Party “Nurotan”. He is the author of numerous scientific publications. He is fluent in English and French. In 2005 he was awarded with “Kurmet” order and other medals. He is married with a daughter and a son. From 2000 to 2001 – President of CJSC “National Legal Service”. From 2001 to 2002 – First Deputy Chairman of LLP “APC Sunkar”, President of LLP “National Consulting Group”, Vice President for Corporate Development and Legal Issues, First Vice President of JSC “Ordabasy” Corporation”. From November 2002 to June 2003 – Advisor to the RK Minister of Economy and Budget Planning. Since 2003 – RK Vice Minister of Industry and Trade. Since 2006 – Deputy Chairman of the Board of JSC “Kazyna” Sustainable Development Fund”. Since 2007 to 2008 – Director for Financial Project Marketing in LLP “Credit Swiss (Kazakhstan)”. Since March 2008 – Assistant to the President of the Republic of Kazakhstan. Since May 2009 – RK Minister of Industry and Trade. Mr. Jan Vapaavuori has been Minister of Economic Affairs since November 2012. He has been a Member of Parliament since 2003. From 2007 to 2011, Mr. Vapaavuori was Minister of Housing and Minister for Nordic Co-operation. As a Member of Parliament, Mr. Vapaavuori was Chairman of the National Coalition Party Parliamentary Group during 2011-2012 and Vice-Chairman in 2006-2007. He was a member of the Grand Committee of the Finnish Parliament in the years 2003-2007 and 2011-2012. He chaired the Constitutional Law Committee in 2007 and was a member in 2005-2007. Mr. Vapaavuori was a member of the Legal Affairs Committee in 2003-2005. In addition, he was a member of the Parliamentary Supervisory Council of the Bank of Finland in 2011-2012. He has been a member of the City Council of Helsinki since 1997, and was its Vice-Chairman in 2012. In 2005-2007, he was Chairman of the City Board of the City of Helsinki. He was Chairman of the National Sports Council from 2011 to 2012. Mr. Vapaavuori holds a Master degree in Laws (University of Helsinki). Member of Parliament for Wealden, House of Commons, Trade Envoy to Kazakhstan, Azerbaijan and Turkmenistan. Charles Hendry has been Member of Parliament for Wealden since 2001. He served as Minister of State for Energy and Climate Change from 2010-2012. His previous posts included Shadow Energy Minister (2005-2010), Deputy Chairman of the Conservative Party (2003-2005) and Shadow Minister for Young People. In 2012, the Prime Minister appointed him as Trade Envoy to Kazakhstan, Azerbaijan and Turkmenistan. He has also been appointed as Visiting Professor at the University of Edinburgh, associated with both the Business School and the Academy of Government. From 1992-97, Charles was Member of Parliament for High Peak, during which time he was Vice-Chairman of the Conservative Party (1995-1997). Following the 1997 General Election, Charles was appointed Chief of Staff to the Rt Hon William Hague MP, when he was elected Leader of the Conservative Party. Charles’ business career has mostly been spent working for international marketing companies. He was Founder/Chairman/Chief Executive of The Agenda Group (1999-2005), a specialist consultancy helping company Chairmen and Chief Executives with their corporate networking. Charles was born and brought up in Sussex. He went to Rugby School before going on to study Business Studies at Edinburgh University from 1977-1981. Born May 20, 1967. In 1991 graduated from political economy department of “Al-Farabi Kazakh State University” with a degree “Economist, Tutor in Political Economy”. In 2001/2002 trained in Milan (Italy) at the ENI-Agip Training Center for oil industry where he received his degree as Master of Petroleum Administration. Professional career Mr Sauranbayev began in 1991 as director of the LLP ENBEK. 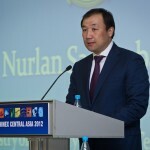 In 1997 he became executive director of the Congress of Entrepreneurs of Kazakhstan. Subsequently he held senior positions in “Kazakhstan Temir Joly” (1998-2000 years. – Director “Passenger transportation”), JSC Atyrau Refinery (2000 to 2001. – 1st Vice President), Inc. “Kazakhoil” (2001 to 2002. –General Manager, Head of Project Management for Reconstruction of JSC “Atyrau Refinery “), JSC KazMunaiGaz (2003 and 2004. – director of engineering and maintenance projects), LLP TenizService” (2004-2007 years. 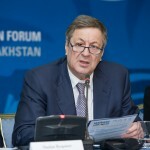 – CEO), KazMunayGas “(2007-2010 years. – Managing Director), JSC “Samruk Kazyna” (2010 to 2011. –Advisor to the Deputy Chairman of the Board). 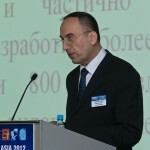 From January to May 2011 – Managing director of JSC “Samruk-Kazyna” JSC, Astana. From May 2011 – appointed Deputy Minister of Industry and New Technologies Kazakhstan. - Governance of the subsoil use of solid minerals, ground water and mud. In 2007 Mr Sauranbayev was awarded the Order of the Kurmet. Was born April 11, 1980 in Kyzylorda. Graduated from the Kazakh State Academy of Management in 1999 and Taraz State University named after M. Dulati in 2001. In 2001, received a Master of Business Administration under the Bolashak program in George Washington University (USA). Ph.D. in Economics. In 2002 – 2003′s – Head of the Department of the functional analysis of fiscal policy and planning, Deputy head of investment planning and analysis department of strategic planning and investment policy of the Ministry of Economy and Budget Planning. In 2003 – 2004, – Managing Director, Member of the Board of National Innovation Fund JSC. In 2004 – 2005 years – Deputy Chairman, Member of the Board of Center for Marketing and Analytical Research JSC. In 2005 – Vice-President of Corporation» Ordabasy JSC, Chairman of the Board of Directors of InterComShina JSC. In 2005 – 2006 years – Advisor to the Minister of Economy and Budget Planning, Advisor to the Deputy Prime Minister. In 2006 – 2007 years – President of Center for Trade Policy JSC at the Ministry of Industry and Trade. In 2007 – Vice-Minister of Industry and Trade. In 2008 – Head of the socio-economic monitoring of the Presidential Administration. 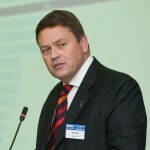 In 2008 – 2009 – Chairman of «National Information Holding» Arna Media ». In 2009 – 2010 – Assistant to the President of Republic of Kazakhstan. In 2010 – 2011 – Vice-Minister of Economic Development and Trade. Tatiana Sedova has more then 20 years of overall experience in countries in transition (Kazakhstan and other Central Asian countries): 13 years experience in consulting, organizational development, project management, training seminars for business, governmental and non- governmental organizations, surveys and research and evaluation of local and international projects; more than 7 years experience in the business sector in Kazakhstan (administration, finance, business development, overall management). Tatiana Sedova is a Sociology graduate from Kazakh State National University, has Professional Diploma in Management from London Open University Business School and the Diploma on Finance from Russian Economic Academy, named Plekhanov. Tatiana Sedova works for the World Bank, Country office in Kazakhstan, being a Consultant for SEGOM (Sustainable Energy, Gas, Oil and Mining) projects, including EITI implementation and mining sector reforms in Kazakhstan. 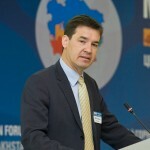 Nikolay Radostovets – Kazakhstan’s statesman and public figure, Executive Director of the Republican Association of Mining and Metallurgical Enterprises, President Union of Producers and Exporters of Kazakhstan. For his fruitful work in the Government of the Republic of Kazakhstan, the active promotion of economic reforms Mr. Radostovets was marked by gratitude of the President of the Republic of Kazakhstan. For his for exemplary service to the government and public, for achievements in economic development and social sphere he was awarded the “Order of Kurmet”. Mr. Radostovets is a member of the Business Council under the President of Kazakhstan. Chris graduated in 1995 with a degree in Geology from Southampton University and was employed by Rio Tinto Exploration as part of their graduate intake scheme. He has held posts within Rio Tinto Exploration as a Project Geologist based in Central Europe and Turkey before completing his Masters on Mining and Exploration Geology at the James Cook University in Australia. Chris went on to manage exploration operations in North and South America as well as Central Africa, before taking on the role of Exploration Executive based in Rio Tinto’s head office in London. During his career within Rio Tinto Chris has undertaken secondments at the following group operations; Northparkes, Porphyry Copper in Australia and Boron, Borates in the USA. Chris has broad experience in exploring for all primary commodities of the Rio Tinto group portfolio. Chris is currently the General manager for exploration in Central Asia with a remit to grow Rio Tinto’s presence within the region. Ken joined Rio Tinto Diamonds as Global Laboratory Manager in 2007, with responsibility for aligning operating practice across group diamond laboratories and optimising service delivery to both Rio Tinto Exploration and Rio Tinto Diamonds. In April 2009 he transferred to the RTX Project Generation Group as Principal Advisor – Diamonds and Laboratories. Whilst continuing to hold this role, he held the role of Exploration Executive in the Paddington office between January 2010 and September 2011. 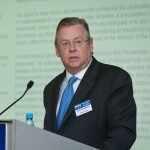 Ken assumed the role of Exploration Director for the Eurasia Region, encompassing Russia, Kazakhstan, Uzbekistan and Mongolia, in October 2011. Nickolai has held the role of General Manger of Varvarinskoe JSC since December 2009, and has wide ranging experience across the mining sector. 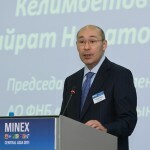 Prior to his current role Nickolai held the posts of Technical Director at Krasnoyarsk Ugol JSC, where he was responsible for managing all staff; advisor director general of Abakan Mining Company LLC End (from late 2007 to March, 2009); and deputy director general of Regional Thermal Coal CJSC from 2006-2007. From the end of 2004 Nickolai worked at PG Phosphorite LLC as a Director of Mining and the processing plant; before that he was deputy branch manager of mining and the processing plant for Mineral-Chemical Company EuroKhim CJSC. From 2000-2001 he was Deputy Director General for production at Krasnoyarsk Ugol JSC, prior to which he held the role of Director General of Borodinskiy Razrez JSC. From 1991 to 2000 he worked at Borodinskiy Razrez LLC, where he progressed from leading an area of mining, to the role of Deputy Technical Director for production service. In 1987 to 1989 Nickolai held the role of supervisor of the Ugolniy mining and transport area, and Deputy Head of the mining area at Krasnoyarsk Ugol Company. He holds an Honors degree in ‘Method and Integrated Mechanization of Open-pit Mining of Mineral Deposits’ from the mining department of the Irkutsk Polytechnic Institute. Nickolai has been awarded with the Miners’ Fame Award, the Russian mining industry Badge of Honour and has been personally commended by the Energy Ministry of Russia. Rodrik’s first job after university in 1996 was as a technical consultant in Aksu, Kazakhstan for Central Asian Goldfields. Over 15 years later, the country still continues to surprise and impress. He worked in the CIS for over a decade principally focused on the resource sector in senior management roles for Western companies. Based in London since 2008, he represents CRU in Russia, Eastern Europe and Central Asia as their Regional Director with an aim to growing CRU’s understanding and presence in these territories. Alexander Lopatnikov is a managing director of American Appraisal in Russia and the CIS focused at providing valuation opinion and advisory services to the clients in various industries including extractive industries and utilities.Among the clients he worked for are the largest corporations and government agencies in Western and Central Europe, Russia and CIS, China, Japan and the U.S.Mr. Lopatnikov is a frequent speaker at the international conferences. His recent speeches and publications addressed emerging issues in IFRS and International Valuation Standards, mergers & acquisitions and valuation in extractive industries. He is a full member of the Russian and a Candidate Member of the American Societies of Appraisers as well as a member of the Canadian Institute of Mining, Metallurgy and Petroleum. He is a leader of the Extractive Industries Global Team of American Appraisal. In 1976 Tursunbek Asambaev received degree with Distinction in “Metallurgy of Nonferrous, Rare and Precious Metals” from the Kazakh Polytechnic Institute named after V.I. Lenin, metallurgy department. In October 1976 he started work as an engineer for the Kentau Excavator Plant (steel department), then he moved to the Shymkent Lead Plant. In May 1995 he was appointed CEO of “SHSZ” JSC (from 1999 – JSC “Uzhpolymetal“). Currently he holds the position of President of JSC “Uzhpolymetal“. Mr Asambayev received Ph.D. in Economics from the Russian Academy of Economics (Moscow), with thesis on “Managing Industrial Enterprise in Market Conditions”. He is the author of two scientific papers: “Vacuum Heat-treating Processing Bulk Concentrate” and “Vacuum Treatment of Czech Tetrahedron Concentrates”. Over 17 years of information and analysis services of “Metal Courier” and “Metal Expert”; took part in more than 50 major projects as an analyst, a leading expert, consultant, project manager. Benedikt is a Managing Director with over 10 years’ experience in the field of gas and oil industry, consulting and finance, expert for project development, policy development and finance in energy. He worked as strategic advisor to the COO of the world’s largest gas to liquid producer, BCG’s (The Boston Consulting Group), in Israel and all major geographies. «Kazakhenergyexpert» JSC — is the modern succeeding energy expert organization of Kazakhstan possessing big level and a resource of expert potential. We appreciate honesty, overall performance, openness, continuous improvement and mutual respect. We take great responsibility to our clients and partners and we are sure that we bring great advantage for all, including environment. We are proud that we do. Openness — we are glad to each client and value our reputation. Our openness to you — is a guarantee of deep trust of all our clients. Mr. Aubee is a hands-on energy and industrial technology expert with 30 years of industry experience, including engineering and management positions in the electronics connector, semiconductor, energy, and consulting engineering industries. Mr. Aubee provides energy efficiency expertise and technology assessments, as well as technical due diligence reviews, project development, and owner’s engineering services for Pace Global clients in the energy, alternative fuels, metals & mining, chemicals, and other heavy industrial manufacturers. Prior to joining Pace Global Mr. Aubee founded Alternate Energy Corporation, a developer and integrator of numerous energy-related technologies including distributed generation (IC engines, fuel cells & micro turbines), renewable energy technologies, critical power systems, engine fuel system conversions, and related alternative energy technologies. Nikolai Yenshin is a mining engineer who also has the role of the Business Development Director in the SRK Kazakhstan office. Prior to joining SRK in 2007, he spent 10 years working on mining operation in Russia, Kazakhstan. He specializes in strategic planning and the evaluation of mines, mine performance improvement management, and underground mine design, as well as the implementation of new technology. Nikolai has worked on such minerals as zinc, lead, tin, gold, uranium, and other. In SRK Nikolai has taken part in projects ranging from geological exploration to Scoping Study, Pre-Feasibility, Feasibility and commissioning of operations, Due Diligence, EIA. He was a Project Manager on several uranium projects of various levels in Russia and Kazakhstan. Mr. Nurzhanov was born in 1980. He is married with two children. In 2002 he graduated as a Mining Engineer from the Zhezkangansky University named after S.N. Baykonurova, specialising in Underground Mining; in 2005 he received a degree in Economics from the Karaganda State University named after E.A.Buketov. Mr. Nurzhanov began his professional career in 1999 as tunneller/driller in Kazakhmys Corporation. From 2002 to 2004 he worked for Subsoil Department of the Ministry of Energy and Mineral Resources RK as Lead Specialist and then Senior Specialist. From 2004 to 2006 – Industry Expert, Dzet Group, Astana. From February to October 2006 – Executive Director, Raising Star, Astana. From 2006 to 2007 – Chief Engineer – Project Manager for Mining, Concern Naiza-Kurylys. From 2007 to 2008 – Principal Manager of Subsoil Department, Saryarka JSC. From 2008 to 2010 – Director for Subsoil Use Department, NC SIC Ontustik JSC, Shymkent. 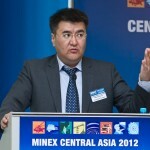 From 2010 to 2011 – Deputy Chairman of the Board, Mining-Chemical Company “Ushger” JSC, Shymkent. From 2011 to 2012 – Managing Director, NC SEC Saryarka JSC. Dmitry holds a graduate degree in chemichal process engineering from Kazakh-British Technical University. He is young yet quickly developing professional with strong and successful experience at Kounrad Copper Project. Michael Hallewell is currently the Business Development Manager Europe for SGS Minerals Services. He has worked with SGS for the past 11 years in various roles including Operations Manager of SGS Minerals Services UK Ltd and General Manager of SGS Lakefield Research Cornwall. Michael has 31 years of experience in the mining industry, including 9 years at Wheal Jane Mine and 5 years at South Crofty Mine before taking the role as Managing Director of Holman – Wilfley Ltd which he held for 6 years. Michael’s expertise lies in the area of Gravity Separation and he is a Plant Operational Management Expert. He has extensive international experience auditing and optimising metallurgical plants in Canada (PDE), Chile (Cu, Au, I, ), Greenland (Au), Great Britain (Sn), Ireland (Zn-Pb), Macedonia (Zn-Pb), Mozambique (Ta, Mb), South Africa (U), Spain (Sn, Zn), Sweden (Fe), Thailand (Sn), Zambia (Ni). Michael holds a B.Sc Honours Minerals Engineering II from The University of Birmingham. He also holds the title of Chartered Engineer and is a Fellow of the Institute of Materials, Minerals and Mining. Gusev Anton Viktorovich was born on 5 May 1985 in Krasnoyarsk, studied in Secondary General School No. 86 n.a. Strigin M.F. starting from 1992 till 2002. He entered the Krasnoyarsk State Academy of Non-Ferrous Metals and Gold. Since 2007 he had started his working career in ZAO “Krasnoyarsk drilling company” being assigned as “assistant engine driver of drilling machine”. After he had been working at the mentioned position for 5 months, he was transfered to the position of process engineer. His experience in the organizing of the drilling works helped him to achieve the position of the chief engineer of the company. Since 2008 he has been a postgraduate student of Engineering and Technology Exploration of Mineral Deposits Department. Four articles have been written and published by him during his studying. Tim Dobush (President and CEO) has been with Geosoft for 23 years; 12 of those years as CEO/President. He is recognized as a leader in the use of software technologies to help explorers solve productivity and knowledge needs through effective utilization of mineral and energy exploration data. Prior to joining Geosoft, Tim Dobush was with EDA Instruments Inc. and was part of the team that developed and tested the world’s first microprocessor based VLF/Magnetomer instrument. Tim Dobush has published and coauthored a variety of papers dealing with geophysical, geochemical and geological topics. Geologist-Consultant with CAE Mining (Kazakhstzn). She has seven years experience in the mining industry. She became an advanced user of the CAE Mining Software packages. Prior to joining CAE Mining, she has worked as a modelling geologist and database manager at BHP Billiton (Russia). She became an advanced user of the CAE Mining Software packages. Phil is a Mining Geologist with over 25 years’ experience of providing consultancy services to minerals companies throughout the world, with particular specialisation in CIS, Europe, Central and West Africa, and China. He has developed an extensive portfolio of exploration and mining-related contracts, from project management through to technical audits of a large variety of metalliferous and industrial mineral deposits. He began his career as an exploration geologist with the Robertson Group, working extensively on gold and base metal projects in North Africa, before moving on to pursue a PhD in exploration geochemistry. This was followed by a period as lecturer at Camborne School of Mines, in conjunction with an active role as a consulting geologist. From there, he moved on to his present position as Managing Director with Wardell Armstrong International (formerly CSMA Consultants Limited). Stefan Scholz is a senior investment banker with a successful track record of over 20 years in banking and extensive experience gained at both Dresdner Kleinwort Benson and JPMorgan in the origination and execution of medium and large-scale investment banking transactions across different industries in North America, Europe, the Middle East, Africa and Asia. Most recently, Stefan was Head of Investment Banking at Visor Capital from 2006 to 2011, building up the leading local investment banking franchise in Central Asia with activities across Russia, Kazakhstan, Uzbekistan, Kyrgyzstan, Tajikistan, Mongolia and China. Stefan closed Advisory, M&A, Equity Capital Markets, Debt Capital Markets and Structured Finance transactions in excess of USD12bn at Visor Capital, which was voted “Best Corporate Finance and M&A Team” and “Best Investment Bank in Kazakhstan” by EMEA Finance Magazine in the CEE & CIS Banking Awards 2009 and 2010. Stefan studied Economics and Business Administration in Germany and the UK and holds a full-time MBA from the Henley Management College. He is an honorary speaker at major international conferences and member of the International Advisory Board to the Agency of the Republic of Kazakhstan for the regulation of activities of the Regional Financial Centre of Almaty (RFCA). DAVID SAVAGE, KazaX Minerals Inc.
Mr. Savage has held senior executive roles in the construction industry in Australia, Asia and the Middle East for more than 25 years. From 1988 until March 2011, he was a senior executive with the Leighton Group of Companies, Australia’s largest construction and project development group. Mr. Savage holds non-executive director positions with both Keller Group PLC, a ground engineering company listed on the London Stock Exchange and Mudajaya Corporation Berhad, a Malaysian construction conglomerate listed on the Kuala Lumpur Stock Exchange. Eliza is Deputy General Director – Human Resources at Manas Resources Limited. She completed her master’s degree in Human Resources Management from Moscow State University by M.V. Lomonosov, Russia. She has done a course on Conflict Management from Folke Bernadotte Academy, Sando, Sweden and also did a specialty programme on Post Conflict Management from Crises Management Educational Center, Kuopio, Finland. In the last one decade, Eliza functioned in various capacities in Central Asia mainly in Kyrgyz Republic and Russia handling diverse HRM responsibilities. She is a native of Kyrgyz Republic and is fluent in English apart from her native languages Kyrgyz&Russian. Ibragim Palankoev was born in 1970 in Vladikavkaz. After he finished military service in Soviet army , he has got an engineer-technologist education and in the following years was retrained on a specialty “Minining and underground constructions”. From 2003-2005 had worked as a vice President , and since 2005 has been leading as a President United Mine Construction Company SOUZSPECSTROY. In 2005 he has got a second higher education in law. Currently he is a post-graduate student in the department “Underground constructions and mines” of the Moscow State Mining University. He has 8 scientific publications, 2 patents . His studies were awarded by Golden Medals of International Exhibition of Inventions and Innovations in Nurnberg (2011) and in Geneva (2012). From August 2012 Igor Fomenko has held the position of Marketing and Sales Director. He has two degrees – in Civil Engineering (Kiev Automobile and Highway Institute) and in Law (Taras Shevchenko National University of Kiev); he also completed an MBA programme at the Institute of International Business Relations (IBR) in Germany. Igor has many years’ management experience received whilst holding managerial positions in companies such as “Interport Kovel”, “TD Lugansk batteries”, “Brinkford Ukraine”, “AvtoKrAZ”, where he was responsible for sales, foreign economic relations and corporate governance. Igor Girnyk joined Dow in 2006 in Kiev, Ukraine, and worked as a sales representative for Base and Performance Chemicals and as of 2008 for Dow Oil & Gas in Russia and CIS, with Kazakhstan playing a very strategic market for these specific businesses. Prior to Dow from 1999 to 2002, Igor Girnyk had worked in various companies-producers of chemicals; till 2006 was responsible for sales in Rhodia. In his current role as the Country Manager in Kazakhstan, Igor focuses on enhancing Dow’s position in the emerging market of Kazakhstan and developing the most open and constructive dialogue with Dow’s business partners, as well as exploring new value-adding opportunities for the Country’s and Dow’s dynamic growth in Kazakhstan. Igor Girnyk graduated in 1999 from the Kiev University Chemical Department. Mustafayeva Zara Akhmetovna graduated Kazakh Polytechnic Institute of the honour of Lenin with the specialization of metallurgical engineer with experience over 20 years in the sphere of geochemical and geophysical tests of minerals. She is acquaintanced with many types of modern analysis methods, we can select the most common, such as atomic absorption method and the inductively coupled plasma method. Zara participated in the development and implementation of many projects, including international ones, where she applied appropriate complex solutions. She joined to the ALS Group in 2013, her professionalism and experience allowed us to offer the best solutions to achieve high levels of quality and service to our clients. Vladimir Ivanov is a mining engineer. In 1990-2007 he worked for “Vorkutaugol” JSC and was promoted from miner to Deputy Technical Director. Vladimir worked for companies such as Evrazholding (Head of the coal expertise center), SUEK-Kuzbass (Director for Development), Mechel Engineering (Director of Project Management). Licensed Canadian Professional Engineer. An experienced project manager and process management professional with a wide variety of projects implementation worldwide including Canada, USA, Peru, Iran, Mongolia, China, Russia, Kazakhstan, Ghana and South Africa. A varied background gained over 25 years in engineering and operation, including responsibilities for overall project management, mining operation management, mining business improvement consulting, process plants design, mine site construction, start-up and commissioning. Very knowledgeable of processing of gold, copper/molybdenum, lead/zinc, tin/tungsten, iron, fluoride, mercury and antimony. Strong leadership, multicultural, diplomatic and management skills has been demonstrated working with Jacobs/Aker Solutions, Tetra Tech, Barrick Gold, Celtic Resources, Cameco, Goldfields, Highland Gold and FSU mining companies. With over 15 years of experience of managing businesses in Kazakhstan and a proven track record in the resources industry, Pavel has excellent management skills and an in-depth knowledge of the Kazakhstan’s business environment. 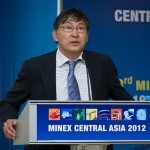 Mr. Bektybayev is Vice-President on Operations at ENRC Kazakhstan. He is solely responsible for production activity of ENRC Group in Kazakhstan, including the production of ferroalloys, iron ore, alumina, aluminum, coal and electricity. Mr. Bektybayev oversees development and implementation of new technologies on the Group’s entities, program economic efficiency as well as corporate procurement. Also he is responsible for implementing the Group’s projects for Capital Expenditures. Mr. Bektybayev has 25 years experience in the mining industry. Prior to joining ENRC in 2004 he worked at Belogorsky mining and processing enterprise, Kazakh Polytechnic Institute and Kunaev Mining Institute. Mr. Bektybayev graduated the Kazakh Polytechnic Institute, in 1991 defended his master thesis and in 2009 acquired the degree of Master of Business Administration (МВА) at Moscow State University. Mr. Bektybayev has Certificate of honor of the Kunaev mining institute (1997), Diploma for the best scientific work of the Collegiums of the Ministry of science of RoK (1996). He is a holder of Industry and Trade Ministry grant. Mr. Kairat Karmanov holds a degree in International Law from the Eurasian National University in Astana and a Master degree in Urban and Regional Planning from Michagan State and Florida Universities. He started his career as a head of socio-economic analysis department at Astana mayor’s office, where he was in charge of the city Strategic Plan 2030 development and a municipal anti-crisis program. He then worked as an expert in the Center of Economic Policy in Agricultural Complex under the Ministry of Agriculture, where he co-authored a master plan of sugar industry development. Since 2009 he has been a head of department for liaison with foreign investors and MNCs, further working as a Managing Director and currently as a deputy Chairman of the Board at KAZNEX INVEST National Agency for Exports and Investment under the Ministry of Industry and New Technologies. In 1995 Akhmetzhan has graduated the law faculty of the Kazakh State University. Then he undertook postgraduate study on subsoil use law at the Institute for State and Law of the Kazakh National Academy of Science. Akhmetzhan has undertaken several professional and management training courses in Kazakhstan, UK and USA. Akhmetzhan is currently a Senior Partner at GRATA, an advocate of Almaty City Bar Association. Akhmetzhan speaks Russian and English. Akhmetzhan has extensive 15 years of experience in mining, investment, natural resources and corporate law of Kazakhstan. His practice is focused on multinationals, industry and financial institutions. He acts regularly for a number of high profile international and Kazakh clients. He has extensive experience in negotiating with state bodies on behalf of multinationals, and in drafting new laws as part of various governmental working groups.He is a regular speaker at local and international energy and mining conferences and has numerous publications to his name. Mr. Abishev has joined National Welfare Fund “Samruk-Kazyna” in July 2009 where he is a director on Mining and Industrial Asset Management. He has extensive experience in mining industry as a director of FSA group in Kazakhstan and corporate development and mining asset management department of national holding “Parasat”. He was director of “Hilltec Development” in Hong Kong where he was mainly engaged in project implementation on mining and metals, developing the trade cooperation between Hong Kong (China) and Kazakhstan and attracting foreign investments. Mr. Abishev served as a representative of International Electrosteel Union in Geneva and worked as a first secretary, counselor at permanent representative office of Republic of Kazakhstan at UN and other international organizations in Geneva. He was advisor of minister of industry and trade of Republic of Kazakhstan. Mr. Abishev has graduate degree from National University of Science and Technology “MISIS” in Moscow and postgraduate degree from Mekhanobr Institute in St. Petersburg. Dr. Alexei Tsekhovoi is a Doctor of Technical Sciences (1992). He is the author of 247 scientific publications, two books and tutorial. His main scientific interest relates to the development of the theory of simulation modeling of geo-technological systems. Under his leadership, a number of information systems and software products have been created for the mining enterprises of the USSR, the CIS and the Republic of Kazakhstan. These products are the original works supported by five copyright certificates and two intellectual property rights certificates. Dr. Tsekhovoi has supervised three Ph.D. (Tech.) students , 22 Master of Sciences students. Currently he is supervising three Doctoral candidates. Dr. Tsekhovoi initiated the creation of Masters and Doctoral degree in Project Management in Kazakhstan and developed the appropriate State Educational Standards. Under his leadership, 3rd International Conference “Mining in Kazakhstan”, four International Conferences “Informatisation in Kazakhstan”, and two International Forums “Project management in Central Asia” have been organised in Kazakhstan. He is a member of the editorial boards in “Mining Journal” (Moscow) and “Mining Journal of Kazakhstan”, creator and head of the “Mining portal www.mining.kz” project. Dr. Tsekhovoi was awarded the Diploma of President Nursultan Nazarbayev, the medal of the 15th anniversary of Independence of the Republic of Kazakhstan, two medals and badges of the Ministry of Education and Science of the Republic of Kazakhstan, the Order “Miner’s Glory”, 3rd degree. Winner of the award “Scientists in Kazakhstan”, “Altyn Adam” – “Person of the Year in Kazakhstan” and “Golden Hephaestus”. 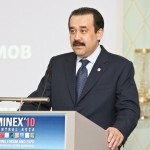 May 2012 – September 2012 – General Director of the Russian company “Mex-Resource”, exploration and gold production. 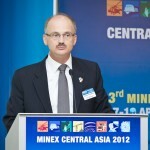 2011-2012 – Deputy General Director for Planning and Technology of Kinross, the Kumtor Mine in Russia. 1994-2011 – Chief Surveyor – Chief Engineer – Manager of Kumtor Operating Company. 1991-1994 – Director, Project Manager of the Scientific Production Cooperative Association “ISHEN” (salt mines, coal mines and the Tselny mine). 1991-1992 – Head of the Industrial Ecology and Nature Department of the Frunze Polytechnic Institute. 1978-1990 – Engineer, Junior and Senior Researcher, Lecturer, Associate Professor of the Mineral Resources Development Department, the Frunze Polytechnic Institute. Various mining studies for the Jergalan mine, the Khaidarkan Mercury Plant, the Kumtor deposit. 1975-1977 – Miner, the district surveyor of the Jergalan mine. Seytkali Galiyev is the Corresponding Member of the National Academy of Sciences of the Republic of Kazakhstan, Doctor of Sciences (Tech. ), Professor. He has written 221 research papers, including 5 monographs, one brochure and one French-Kazakh-Russian mining dictionary, four pending patents of inventions. He published 15 collections of scientific papers of the D.A. Kunayev Mining Institute. Ayuna Nechaeva is responsible for London Stock Exchange’s business development activities in Russia, CIS and Mongolia. Ayuna promotes London Stock Exchange markets, Main Market and AIM, among companies in these regions and facilitates communication between them and the London-based advisor and investor community. Ayuna Nechaeva holds a Master’s in International Business from Grenoble Graduate School of Business and an MA in Linguistics and Intercultural Communications from the Moscow State University. Prior to joining the London Stock Exchange, Ayuna worked for the British Broadcasting Corporation (BBC) both in Russia and the UK. Julia has recently taken on the role of General Director for our Moscow office following completion of an MBA in New Zealand and USA. Prior to this, Julia was WAI’s Regional Manager in Kazakhstan during which time she also gained a Diploma in Environmental Sciences from the University of Exeter, UK. She possesses considerable experience within the metalliferous mining sector within FSU with a sustained record of success in general management and strategic business development. Julia is devoted to relentlessly leveraging the Company’s strengths and providing the Clients with consistently high quality advice on technical and financial matters. Tony Thornton (B.Eng., C.Eng., MIMM., ACSM. ), General Director, SRK Consulting (Kazakhstan) Ltd., Kazakhstan Branch. As a Principal Consultant Mining Engineer, Mr Thornton has nearly 30 years experience in mining and has worked on mines in Zambia, Guinea, Angola, Ghana, UK, USA, Tanzania, Russia and Kazakhstan. He has a depth of experience of managing both open-cast and underground operations, specialising for the last fifteen years in a leading capacity, taking operations from greenfield site to full production. He has worked with SRK since 2007 as an associate Principal Mining Engineer, and has been a lead consultant on several Technical Audits and Feasibility studies in Kazakhstan and Russia. He is now resident in Almaty, Republic of Kazakhstan, heading the SRK practice office there. Mr. Kudryavtsev is a mining engineer. He graduated from the Krasnoyarsk Institute of Nonferrous Metals, specialising in Underground Mining of Ore Deposits. His professional experience includes positions of Deputy General Director – Chief Engineer of ARMZ Uranium Holding Co.; General Director of Priargunsky Industrial Mining and Chemical Union (JSC PIMCU); Executive Director of VNIPIpromtechnologii OJSC. Arman Sahupala is an advanced mining/geotechnical engineer who specializes in underground mine operation and development services. With an extensive background in mine engineering and mine plan design, his geotechnical areas of specialization are in ground control and stress management, geotechnical design, and stability investigation, including instrumentation and monitoring. Arman has more than 11 years experience working in mining industry for both surface and underground support operation. He also has many years of experience working on feasibility studies, mine planning and production scheduling. Projects that he was previously involved in were for Mine plan and design, Development/Production schedule of Sub-Level Stoping, Room and Pillar Projects in Central Africa, and also for Block cave projects in Indonesia, Mexico and the Phillipines. Neil has over 30 years’ experience in the minerals industry. He has held senior positions in operational management, technical services management and business analysis. Prior to joining SRK, Neil was President of Canadian and European Operations and Projects for Walter Energy. In this position he managed businesses with approximately $1Bn in annual revenues and managed the investment of $800m in major capital expansions to those businesses. Neil was previously head of Business Analysis for Rio Tinto’s Copper Group where he managed the Business Analysis function for all of Rio Tinto’s copper and base metals operations and projects. 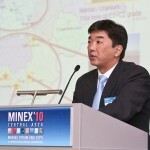 Mr Baymukhametov – Doctor of Science (spesialised at occupational safety and fire safety), Professor, Academician of the Kazakhstan National Academy of Engineering, foreign member of the Russian Mining Academy, a specialist in the field of mine aerology and gas emission control in coal mines. Mr Baymukhametov was the director of the 50th anniversary of the October Revolution mine, the Industrial Association “Karagandaugol”. From 2005 to present, he has been an adviser on development and modernization of “ArcelorMittal Temirtau” JSC. Mr Baymukhametov is the author of books, monographs “The problems of developing coal-bed methane, and industrial recovery and use of methane in the Karaganda basin”, “Explosions of gas and dust in the mines in Karaganda”, “Providing safety of mining operations at the mines, developing notch gas-bearing strata” and 138 articles. He has 104 copyright certificates and 12 patents. Mr Baymukhametov was awarded the order of the October Revolution, order of the Red Banner of Labour, order of Friendship and medal For Valiant Labour, the 100th anniversary of the V.I. Lenin’s birth, Miner’s Glory Medal, the Honorable miner of Kazakhstan, the Academician A.A. Skochinskogo’s Prize (twice) etc. He holds a degree in Bachelor’s of Science in Metallurgical Engieneering graduated in 1986. He started his career in the mining industry in 1986. Joel Geronimo worked for several international mining companies namely BHP, Randgold Resources, Bemagold, Centerragold, Apex Silver and European Minerals. Since February 2010 he is the Chief Metallurgist of JSC AK Altynalmas. Doctor of Science (Eco. ), Professor, Honorary Member of the National Academy of Sciences of Kazakhstan, Member of the International Academy of Engineering. Honorary Citizen of Tusson city (Arizona, USA). In 1972, he graduated as a civil engineer from Kazakh Polytechnics Institute named after V.I. Lenin. After finishing post graduate studies in the Moscow State University of Civil Engineering he worked in the Kazakh State Academy of Architecture and Civil Engineering and progressed from assistant to professor. In the Academy he worked as Dean of Civil Engineering Faculty (1986-1990), Head of the department, organised a new direction in professional training – integrating business education with technology training. He subsequently became the Head of newly created Faculty of Management and Business in Construction (1990-2000). In 2000-2001 he worked as a national consultant for the project of the World Bank and the Agency for Civil Service Affairs of the Republic of Kazakhstan and was a lecturer at the Academy of Public Administration under the President of the Republic of Kazakhstan. In 2008, by the Order of the President of the Republic of Kazakhstan, Mr Adilov was appointed Rector of the Kazakh National Technical University named after K.I. Satpayev. He has published more than 70 scientific and methodology papers, including 7 monographs and 5 textbooks on economics and management of construction, sustainable development management. He completed further professional training in Japan, USA, UK, Germany, France, and China (Hong Kong). Mr Adilov was awarded The Order of Kurmet, 3 commemorative medals, badge «Honorary Worker of Education of the Republic of Kazakhstan» and the medal «10 years of Independence of the Republic of Kazakhstan». Professor Pine was the Head of Camborne School of Mines until 2008 and is now professor emeritus. Since late 2011 he has been involved with MSc level mining education (specialising in geomechanics) in Kazakhstan in collaboration with Kazakhmys. He is a Fellow of the Royal Academy of Engineering (UK). He has a technical background in geotechnical engineering applied in university research and teaching, and consultancy in the mining and civil engineering industries. Larisa Statsenko holds degree in Mechanical Engineering (2002) and Systems Engineering (2005). Since 2005 she has been teaching at Rudnensky Industrial Institute, Department of Automation of Information Systems and Technology. In 2008 she received PhD, specialising in Theoretical Basis of Mining Systems Designing. In 2011-2012, as the winner of the Bolashak International Scholarship, she took a scientific internship at The University of Adelaide, Australia, specialising in System Analysis, Management and Processing of Information. Since 2010 Larisa has participated in research projects in the framework of economic contracts and state budgetary issues. Since 2009 she is a Member of the International Academy of Computerization of the Republic of Kazakhstan. From 2005 to 2013 Larisa has published over 30 scientific papers in journals in Kazakhstan and Russia and in scientific papers’ digests of international conferences. Currently Larisa’s research interest lies within the area of systems analysis and modeling of complex mining technical systems and project management in subsoil use. Mark has worked in the mining and logistics industries throughout his career and has focused on the realisation of benefits through business improvement initiatives including the design/redesign of business processes, change management and strategic planning. Mark heads Turner & Townsend’s Natural Resources business which has more than 50 years’ experience working with organizations associated with the mining and metals industry. Mark and his team have provided support to the world’s leading mining companies, including Anglo American, Barrick, BHP Billiton, Rio Tinto, Xstrata, as well as mid tier and junior mining companies, together with construction, funders and other service providers. Mark continually sees the issues to be covered in this presentation in mining projects worldwide and his team have worked globally with a range of mining companies to develop within their capital projects a sound basis for project success, such as project management, procurement and contracts management and cost management. Born on 18 May 1981. He graduated from Marshalltown College (USA), specializing in Political Science and from Eurasian National University, majoring in International Law. He has a master degree in geopolitics from University La Sapienza (Italy) as well as a bachelor’s degree in psychology from the Academy “Kokshe”. He received further training and development in in the area of public policy and public administration, human resources management and technology management in the USA, Singapore, Belgium, Japan and the Netherlands. In 2000-2001 he worked as an assistant to Congressman Mark Smith, the Government of Iowa (USA). In 2002-2004 he was involved in implementation of Youth Policies in Kazakhstan. In 2006-2009 he worked on the investment projects of JSC “Sustainable Development Fund ” Kazyna”. He was a head of the Department of Human Resources Policies of the Presidential Administration, the Vice-Rector of the Presidential Academy of Public Administration, Director of the Department, and then the Executive Director for personnel policy of JSC “National Welfare Fund “Samruk Kazyna “. In 2009 he was appointed Director of the National School of Public Policy under the President of Republic of Kazakhstan. He is fluent in Kazakh, Russian, English, Turkish, Italian, Spanish, Japanese and Latin. He is married with two children. Vladimir A. Mansurov graduated from the Kirghiz State University in 1965 and for 25 years worked in Kirghiz Academy of Science. In the same time he gave lectures for students in Kirghiz State University and Frunze Polytechnic Institute. In 1975 he worked in Research Institute of Physics and Mechanics of Rock of Kirghiz Academy of Science as senior researcher worker and prepared his PhD on Rock Mechanics. In 1990 he perform the investigation on Geophysics and graduated from the Institute of the Physics of the Earth as doctor of science. Vladimir A. Mansurov is a renowned scientist in area of heterogeneous media fracture prediction. He was director-organizer of International Scientific Centre for Environment of Russian Academy of Science in Moscow. He worked as Director of this Centre for 5 years. In 1995 he was invited to Krasnoyarsk. There he organized a wide range of research to increase safety of the Krasnoyarsk region by means of radioactive, natural and man-caused risks estimation. Prof. Mansurov was initiator and leader of works for monitoring systems installation on important industry objects of Krasnoyarsk region to prevent catastrophic events. According to his recommendations and under his supervision in Zheleznogorsk on Mine-Chemical Plant of Nuclear Ministry of Russia in 1998 the Research-and-Production Center of Geomonitoring starts to work. Under his guidance a group of specialists with invited famous scientists from abroad estimated current state of Krasnoyarsk and Sayano-Shushenskaya Hidro Power Electric Stations. In 2001 in Krasnoyarsk Prof. Mansurov organized 1st International School-Seminar “Physical fundamentals of rock fracture”, which was important for Krasnoyarsk region to prevent natural and man-caused catastrophic phenomena. Prof. Mansurov had lectures in faculty of geology and geophysics of Vienna Technological University. More then 20 years Vladimir Mansurov works on problem of monitoring of collapses caused by mining in Zhezkazgan Copper Mines (Kazakhstan). At first stage it was contracts, later he was advisor-consultant of Chairmen of the board of “Kazakhmys Co” Ltd and mine survey department. Now he is a director of Strata Control Centre of “Kazakhmys Co” Ltd. He developed conception and plan of seismic network creation, which should control induced seismicity caused by mining. Under his management a new modern monitoring systems were installed in Zhezkazgan and Zhomart mines. It allows to control current state of areas where is mining activities and in abandoned old openings. It was developed the technique of excavation current state estimation and prediction of collapses. This technique demonstrates high effectiveness and allows to predict behavior of rock massif under mining and increase safety of mining in “Kazakhmys Co” Ltd.
For high achievements in research activity in 1999 Vladimir Mansurov was elected as corresponding member of International Engineer Academy, in 2001 he was elected as a corresponding member of the Higher School International Science Academy. He has published more then 200 scientific papers; the most of them was published in Russian and International Scientific Journals. Prof. Mansurov has published 4 books concerning problems of rock fracture. He has rank of “Honored worker of the Higher School”. Last 5 years he worked for Kazakhmys Services limited as Head of Geotech Service and Principal Geotech Engineer. He develop educational program for master course –Geotechnics and under his supervision first 15th engineers were graduated and now they are working on Kazakhmys’ mines. Artem graduated from Moscow Aviation Institute (State Technical University) in 2011, with qualification in management. In 2012 after postgraduate study in Finance Acedemy under the Government of the Russian Federation got a degree in financial management. Prior to joining Squadra Forte, Artem worked as an auditor with the leading consulting company. Artem has been managing a mining practice in Squadra Forte since and is responsible for execution of major projects, market research, HR consulting and managing the team of consultants and analysts. Yaroslav Glazunov is a partner in Heidrick & Struggles’ Moscow office and is a member of the Industrial, CEO & Board of Directors, and Consumer practices. Yaroslav has diverse executive search industry experience and comprehensive understanding of the market. Yaroslav offers the clients a broad industry perspective, strategic insights, a large network of contacts, a consultative approach as well as thorough assessment of candidates. His various client work includes: counseling natural resources, consumer and retail companies, as well as private-equity and venture capital firms, specifically assisting their portfolio companies on meeting their executive management and board leadership needs. He has completed dozens of board director, CEO, CFO and other senior executive searches globally. Prior to joining Heidrick & Struggles, Yaroslav worked for a boutique firm, providing senior-level executive search and board services. He advised an extensive range of public and private companies at the strategic level on board and senior executive recruitment. He kept a special interest in business efficiency improvement, CEO succession. Yaroslav received his master degree in management from Plekhanov University. He also completed an executive leadership program at INSEAD. Yaroslav is involved in a number of not-for-profit initiatives. He is also a member of the Young Presidents’ Organization (YPO). Dmitry Filimonov is a sales representative of TII-Group in Russia and CIS countries. For more than 1.5 years he has been working on difficult logistics projects with biggest mining and metallurgical companies of the CIS. Before his appointment as TII-Group representative, he had been working for more than 4 years in the Russian steel industry, mainly involved into infrastructure projects of the United Metallurgical Company and Vyksa Steel Works. As a graduate geophysical engineer from Michigan Technological University, Bil served as senior geophysicist for major and junior mining companies in North America before trending into international marketing of advanced exploration technologies where he has worked effectively in over 50 countries on behalf of major equipment manufacturers and airborne survey groups. In addition he acts as a technical advisor and principal in various search groups looking for lost aircraft of historical significance and has helped locate several in Greenland, Canada and Africa. He has numerous trade articles in his portfolio and routinely helps clients develop effective marketing strategies and material. He has appeared on TV, in documentaries and has spoken to groups around the world. Clients include Geotech, Terraquest, Exege (South Africa), Aretech (Spain), AGT (Russia), CAMESE and Scintrex. International clients have included the World Bank, UNDP and US EPA. DR. MIKE ARMITAGE, SRK Consulting (UK) Limited. Dr Mike Armitage is SRK Group Chairman and a Corporate Consultant with over twenty years’ experience in the industry. Prior to joining SRK he worked on gold mines in South Africa and Zimbabwe and also completed a PhD assessing alternative methods of reserve estimation at Renco Gold Mine in Zimbabwe. At SRK he is responsible for managing feasibility studies and stock exchange competent person’s reports on behalf of mining and exploration companies and also audits and due diligence studies on behalf of investment institutions or in support of mergers and acquisitions. He has written several papers on resource and reserve estimation methodology and spent several years as joint course co-ordinator of an MSc in Mineral Resources at Cardiff University, and then as external examiner for the MSc in Metals and Energy Finance at Imperial College, University of London. In addition to being Group Chairman of SRK he is also Chairman of SRK UK and SRK Exploration Services. He is also a council member of the Geological Society. Ph.D. in Economics, heads Federal State-Funded Institution “State Commission for Reserves of Commercial Minerals (GKZ)” since 2004. Has more than thirty years of professional experience in various positions in the field of engineering-geological surveys and mining production. Askar Munara is the Director of the Development Department at the Research Centre of the Kazgeology National Exploration Company JSC. He is in charge of creation of research centres for the integrated study of subsoil, as well as advising on geochemistry and genesis of uranium and hydrocarbon basins in the Republic of Kazakhstan. Prior to joining National Exploration Company Kazgeology JSC Mr. Munara advised Kazakh Institute of Oil and Gas (KING, KazMunayGas) on the geochemistry, geosciences and construction project of Research Centre (KING) with innovative technology park in the village of Alatau. He had worked in CREGU, AREVA NC (France) for five years, specialising in formation of roller type uranium deposits: mineralogical and geochemical studies in Moyynkum, the Central and Tortkuduk Chu-Sarysu Basin. Mr. Munara also worked in a risk management and industrial financial analysis sectors, specialising in fuel & energy and oil & gas industries in the TuranAlemSekyuritis JSC. Mr. Munara holds a Bachelor, Master and Ph.D. in Geology and Geosciences from University of Lorraine (France). He also graduated from the Kazakh National Technical University named after K.I. Satpayev, specialising in Petroleum Geology. Paul Freeman is the Sales and Marketing Director for Joy Global covering the Eurasia Markets. He has worked in various roles in the equipment manufacturing industry in Europe, China, Australia and the USA for the last 25 years. Before this he was employed in underground longwall mining in the UK and room and pillar and surface mining in South Africa. He holds a M.Sc. and Ph.D. in rock mechanics from the University of Cardiff and has mine managers certificates for the UK and South Africa. Paul has a degree in Information Technology and over 15 years of experience working with Mining systems. He is the Strategic Account Manager for GEOVIA’s Australasian Business Unit. Mikhail Leskov, mineral processing engineer, has more than 30 years of managerial, operational, consulting and engineering experience in exploration and mining of various mineral commodities, first of all precious and non-ferrous metals, diamonds and gem stones. Educated at Moscow Institute of Steel and Alloys as Graduate Mineral Process Engineer, with specialty in Process Plant Design. After completing his studies, Mr. Leskov had an uninterrupted permanent professional experience working in different companies such as VNIPIgortsvetmet (later renamed as Ginalmazzoloto) where he had worked for more than 10 years, NBLgold (Rus) JSC, a company that he founded and led for about 20 years (including 8 years as CEO in NBL Interantional (UK) Ltd.) and then in various companies, from Artel AMUR (Project Manager) to ARMZ Uranium Holding (Advisor to the General Director). Mr. Leskov is mainly focusing on the project management in exploration and mining projects for various mineral commodities, has very well-developed contacts with colleagues in Russia, ex-USSR republics and in many other countries and also has extensive experience working with international companies for projects worldwide. Mr. Leskov is the author of multiple articles in local and international professional magazines (Mining Journal, International Mining, Alchemist) and regularly presents at different conferences, since 2005 he is a regular speaker at MINEX events. Prior to joining Visor Capital in November 2008, Jean-Christophe worked for 11 years as a sell-side analyst in various institutions including Julius Baer / Kepler Equities and Exane BNP Paribas. At Exane, Jean-Christophe was sector head for the European IT Services & Software sector, for which he was ranked Best Equity Research Analyst (Extel Surveys). Since then, Jean-Christophe has been managing Visor Capital’s Research Team and has been a member of the Management Board since 2009. Under his management, Visor Capital has expanded coverage substantially to more than 50 companies with assets in Central Asia, Mongolia and Russia. Visor Capital’s research was voted “Best Research for EMEA Frontier Markets (incl. Kazakhstan and Kyrgyzstan)” in 2009, 2010 and 2011 (Thomson Reuters Extel Surveys) by institutional asset managers, ahead of other international competitors. Jean-Christophe holds an MSc degree in computer sciences from Ecoloe Centrale d’Electronique and an MBA from ESSEC. Graduated from Kostanai State University named after A. Baitursynov, History of international relationships, Americanism – 2001-2006. JSC Varvarinskoye, Kostanai region – translator English/ Russian, Process plant – 2006-2010. JSC AK Altynalmas, Zhambyl region – metallurgical accounting – 2010-2011. From 2011 – JSC AK Altynalmas, Almaty city – specialist of a department of Projects & Production. Doctor of Technical Sciences, majoring in “Development, geology and mining of mineral deposits.” Member of the National Academy of Engineering of the Republic of Kazakhstan. He began his career in 1977, was promoted from engineer to business manager of exploration and prospecting of mineral deposits. From 1998 he worked as a department head, deputy head of the Central Energy Customs Customs Committee of the Republic of Kazakhstan. From 2000 he worked as director of the main supervisory control of the oil and gas industry of the Ministry of Energy and Mineral Resources of the Republic of Kazakhstan, member of the Central Commission for exploration and mining. From 2002 to 2012, he held management positions in Kazakhstan companies in prospecting of mineral deposits and geological exploration. Since March 2012 worked as the head of the National Center of geological information “Kazgeoinform” of the Committee of Geology and Subsoil of the Ministry of Industry and New Technologies of the Republic of Kazakhstan. In the past five years he has been directly responsible for managing the mining team at SRK (UK) Limited and has personally led mandates in the areas of: technical studies ranging from conceptual to feasibility level (bankable standards); operational performance enhancement; due diligence reviews for project and equity financing; and competent persons’ reports in accordance with stock exchange requirements. He is now responsible for establishing and developing the Moscow office in support of SRK’s services to resource industry in the Russian Federation and the CIS. Forum in 2012 offering their views on current mining practices, projects and regulatory developments. The forum demonstrated strong indicators of industry’s rapid recovery from the effects of the global financial crisis and illustrated new growth areas in mining exploration, mining efficiency and mining finance. 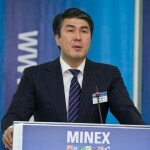 According to feedback from the participants, the forum has become a powerful incentive for the multilateral exchange of information and better understanding of the on-going changes in the mining industry of the Central Asian region opening new opportunities to international investors and business partners. MINEX Technical committee calls on national and international mining experts, analysts, investors, technological companies and government authorities to submit before 1 March 2013 abstracts to be considered for presentation at the forum. HOW TO SUBMIT YOUR SPEAKER PRESENTATION PROPOSAL? Complete speaker registration form. Please note that abstract should be no longer than 1000 words and include information about the author(s), contact details (tel, email), time required to deliver presentation and special technical requirements. Should you wish to attend the forum, please complete delegate registration form.